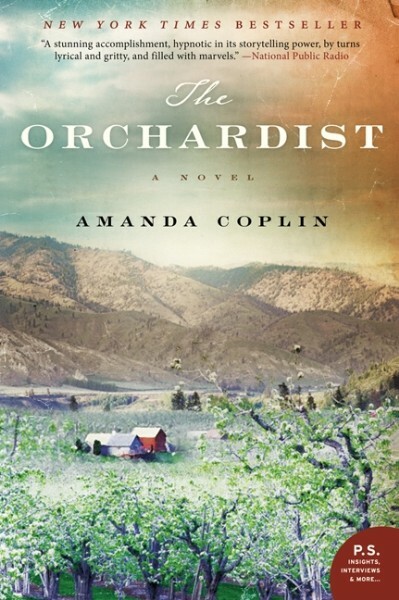 Amanda Coplin is the New York Times best-selling author of The Orchardist, a stunningly original and haunting debut novel in which Coplin spins an engrossing tale of a solitary orchardist who provides shelter to two runaway teenage girls in the untamed American West. The Orchardist has been named a Best Book of the Year by the Washington Post, Seattle Times, Amazon, The Daily Beast, and NPR, among others, and Coplin is the recipient of a Barnes & Noble Discover Award. She is an ideal speaker for writing workshops and seminars, colleges and universities, and libraries. At the turn of the twentieth century, in a rural stretch of the Pacific Northwest, a reclusive orchardist, William Talmadge, tends to apples and apricots as if they were loved ones. A gentle man, he's found solace in the sweetness of the fruit he grows and the quiet, beating heart of the land he cultivates. One day, two teenage girls appear and steal his fruit from the market; they later return to the outskirts of his orchard to see the man who gave them no chase. Feral, scared, and very pregnant, the girls take up on Talmadge's land and indulge in his deep reservoir of compassion. Just as the girls begin to trust him, men arrive in the orchard with guns, and the shattering tragedy that follows will set Talmadge on an irrevocable course not only to save and protect, but also to reconcile, the ghosts of his own troubled past. Transcribing America as it once was before railways and roads connected its corners, Coplin weaves a tapestry of solitary souls who come together in the wake of unspeakable cruelty and misfortune. She writes with breathtaking precision and empathy, and in The Orchardist she crafts an astonishing debut novel about a man who disrupts the lonely harmony of an ordered life when he opens his heart and lets the world in. Coplin was born in Wenatchee, Washington. 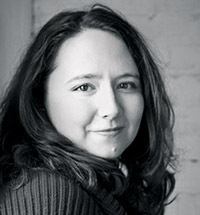 She received her BA from the University of Oregon and MFA from the University of Minnesota. A recipient of residencies from the Fine Arts Work Center in Provincetown, Massachusetts, and the Omi International Arts Center at Ledig House in Ghent, New York, she now lives in Portland, Oregon. "Many contemporary novelists have revisited the question of what constitutes a family, but few have responded in a voice as resolute and fiercely poetic." "Amanda Coplin has depicted her northwestern landscape with such fidelity that readers will know its every sight, smell, and sound. Within this world are compelling characters and their equally compelling stories. The Orchardist is an outstanding debut." "When you pick up The Orchardist, you will be lured at first by the lushness of the language. But soon enough the characters will take hold of you and you'll read on hungrily, as if under a spell. It's hard to believe that this is Amanda Coplin's first novel." "The Orchardist is a stunning accomplishment, hypnotic in its storytelling power, by turns lyrical and gritty, and filled with marvels. Coplin displays a dazzling sense of craftsmanship, and a talent for creating characters vivid and true." "Amanda Coplin's somber, majestic debut arrives like an urgent missive from another century. You can only be thrilled by a 31-year-old writer with this depth of understanding...the final epiphany equals in stark grandeur similar scenes in Emily Bronte's Wuthering Heights and Pat Barker's Another World..."
"Coplin's prose is fresh and compelling...While the ending of this striking debut may not make every reader happy, it is, undoubtedly, the right one for both the book and for Talmadge, an unlikely hero who -- like the book -- is true to life and sweetly honest from beginning to end." "A stunning debut...The Orchardist is a poetic book, but its strength doesn't lie solely in its language. Coplin's understanding of abuse and the lasting effects of fear and loss on the individual psyche are deeply resonant..."
"There are echoes of John Steinbeck in this beautiful and haunting debut novel set in early-20th -century Washington State...Coplin depicts the frontier landscape and the plainspoken characters who inhabit it with dazzling clarity." "The exquisitely described landscapes in this tale astonish, but so do the emotional lives of its characters...a wise and great American novel." "[A] beautiful, powerful novel...The Orchardist has the sweep and scope of a big historical novel...yet Coplin is exquisitely attuned to small, interior revolutions as well. Its language as rooted and plain as the apple trees Talmadge nurtures, this is a gorgeous first book." "...the best first novel of 2012...the book brings to mind just how much the effect of reading about the land, the setting, with its lyric pulse, plays a role in the success of a forward moving narrative."